I've spent so much time in the kitchen recently! I feel my blog has transformed into a cookbook. I will be doing a post on NEW interior design from an expert that's appeared on HGTV soon but first...MORE pumpkin yum-o. 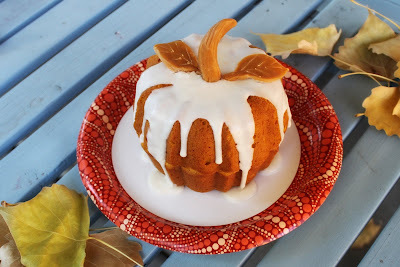 Last year, I saw these adorable little pumpkin cakes in Southern Living. I don't have the pumpkin-shaped cake pans, so I used my small bundt pans and crossed my fingers that the completed project would imitate a pumpkin. I cut off the bottoms and flipped on top of the upside down cake...and it worked. I made the stems and leaves from caramel square candies. I popped the candy in the microwave for 5 seconds, then used a rolling pin to flatten them. Using a paring knife, I was able to shape the stem and leaves. 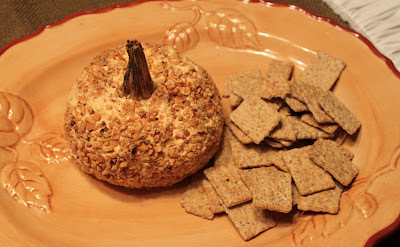 The next pumpkin-shaped dish is a big cheese ball I made from a Gooseberry Patch cookbook. Any other Gooseberry Patch lovers out there? This has cream cheese, sharp cheddar, and blue cheese. I rolled it in nuts and paprika. The stem is from a real pumpkin! I popped it off, washed it, and placed it on my cheese ball. 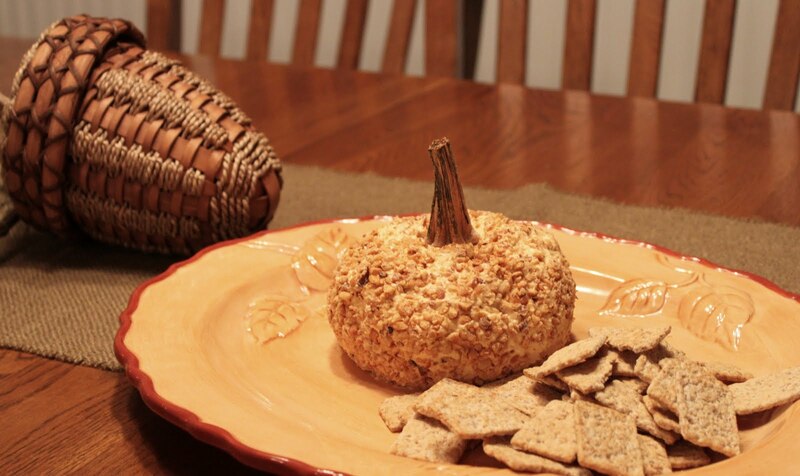 you can purchase a cheese ball and put a stem on it. Ready for a harvest party. Enjoy the bounty of the season. Oh my gosh, Lisa! Is there anything you can't do? They look beautiful and yummy. You're amazing! I tried to hide "my" pumpkin, but HansMan found it. 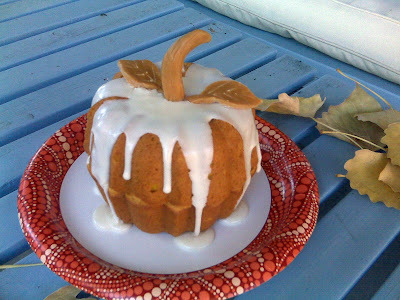 Girl, you are some kind of talented, and that pumpkin cake looks scrumptious. So does the other. YUM! Another great idea from Lisa!!! These little pumpkins are adorable. And how clever you are, using caramels to make the stem and leaves. Too cute! oh these are just too too cute! They look to good to eat! 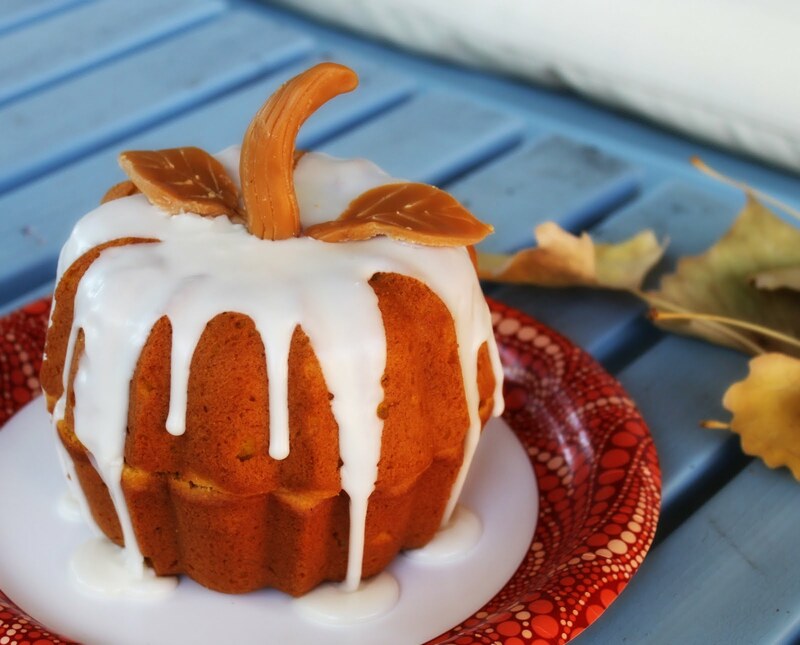 The pumpkin cake is gorgeous. Love how you made the stem and leaves from caramels. So super creative. I love it. Oooh! 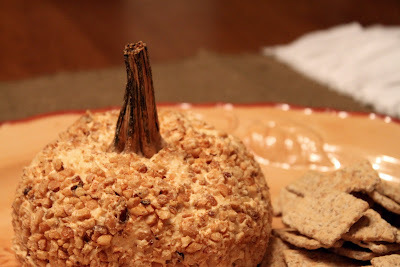 Love how you used the real pumpkin stem! 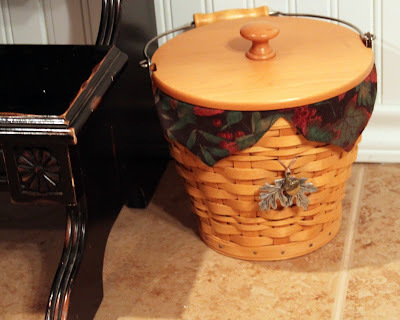 I would LOVE for you to link up to my What's Cooking Wednesday! Those are all so cute! and I LOVE pumpkin! These are both adorable pumpkin shaped foods. I would love them on my Thanksgiving table (would you make them for me?) Love the caramel stems and leaves and how easy is that! I need to go check out post #1. Love the caramel leaves and stem! Oh my gosh, these are so cute! Great job! Adorable Lisa!!! thanks for linking up too! 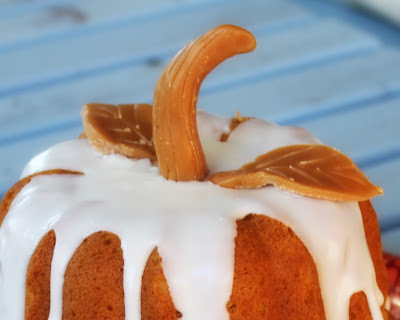 Pumpkin cakes, brilliant! Why didn't I find these before Halloween. ok, Halloween 2011, it's on. What fun! I've seen the pumpkin cakes before, but the cheese ball was new to me. I love it. So cute! I'm filing away this idea for next year. Very cute fallish treats! Love Gooseberry Patch (and Southern Living, too)! Too cute and wonderful ideas! Thanks for sharing and Happy Thanksgiving to you! :umpkin. Shaped. Food. Really, what could be better?? These are delightful! My first visit, think I'd better check out more of your posts! I LOVE the little pumpkin cake!!! What a great idea!!! Thanks for linking it up!